Stepping off the bus we are surrounded by green and lush mountains on every side, breathing in the fresh air that smells of blooming flowers and rice fields. 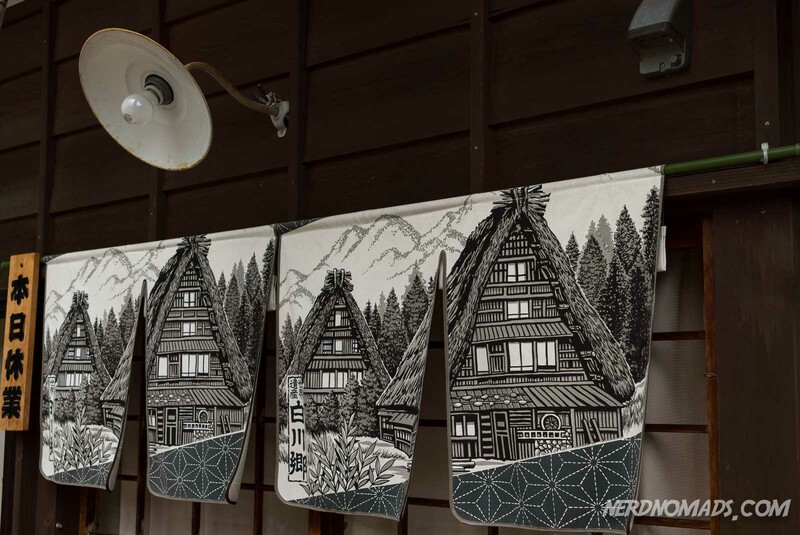 We ‘re only about a 50-minutes drive from Takayama, but it feels like we have stepped back in time, back to the Edo period and the highlight of Japanese culture. A time of shoguns and samurais, a time that has inspired countless books and movies. 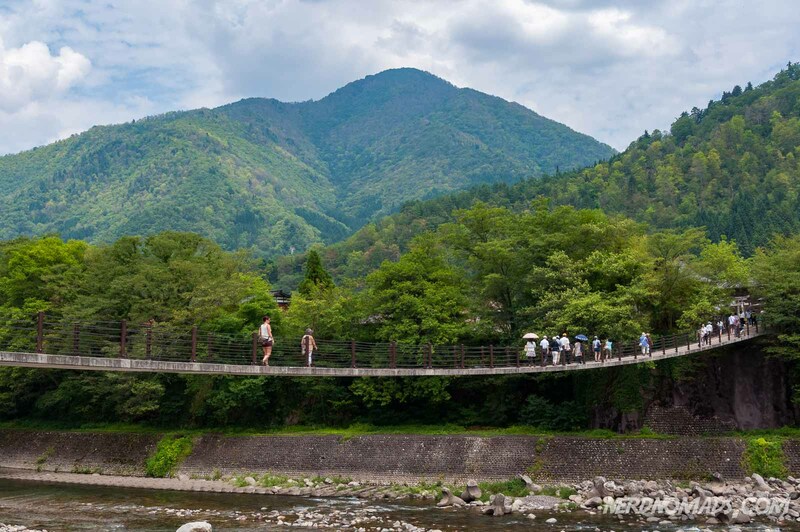 We cross the bridge over the calm Shokawa River leading us to the reason why we came here – the Ogimachi village famous for its unique gassho-zukuri buildings. 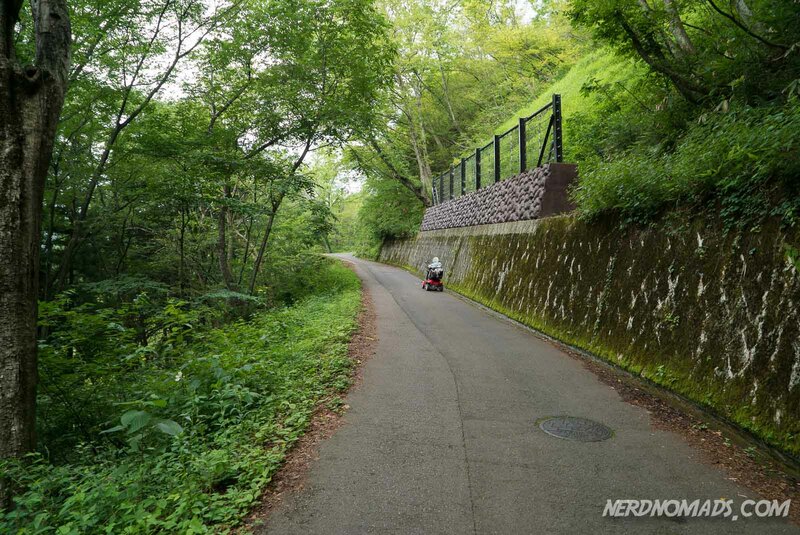 We walk along narrow roads, between beautiful colorful gardens and well-maintained houses, and all the stress and hustle and bustle from the big city of Tokyo are long gone. 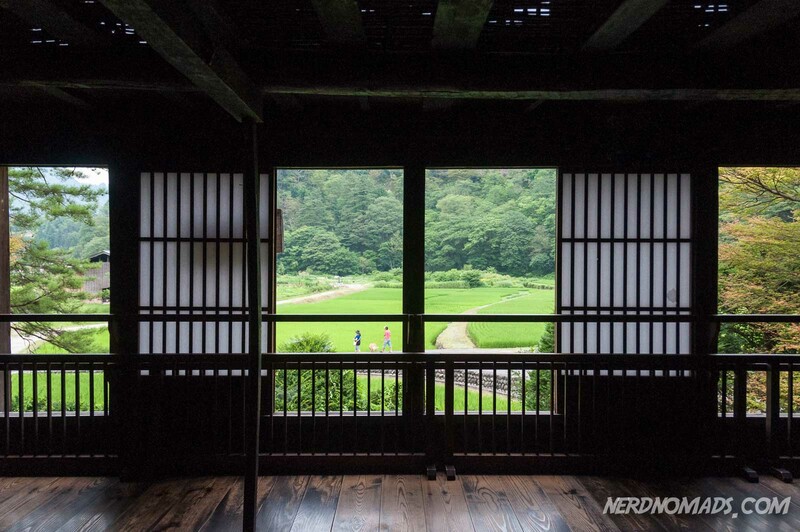 We feel so relaxed and calm, walking among these old Japanese houses that have such a special place in Japanese culture and history. It is almost a bit Zen´ish. 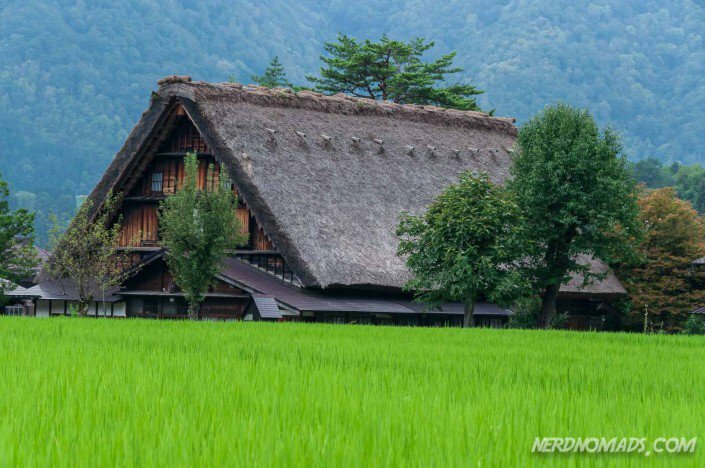 What Is A Gassho-zukuri House? 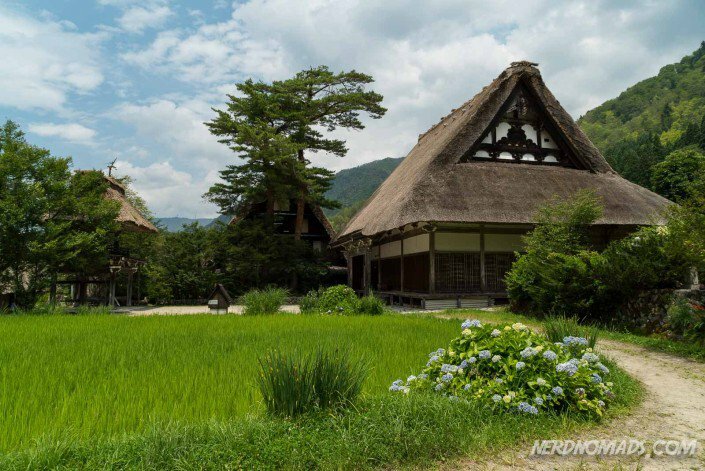 Gassho-zukuri is a unique architecture style special for the Hida district of Japan (inland in the mountains). They are steep straw-roofed homes made of wood. Due to harsh and unforgiving winters with a lot of snow, the roofs of the houses are steeply angled to prevent the snow from piling up. “Gassho” comes from the Japanese word for prayer, as the steep shape of the roofs resembles praying hands. 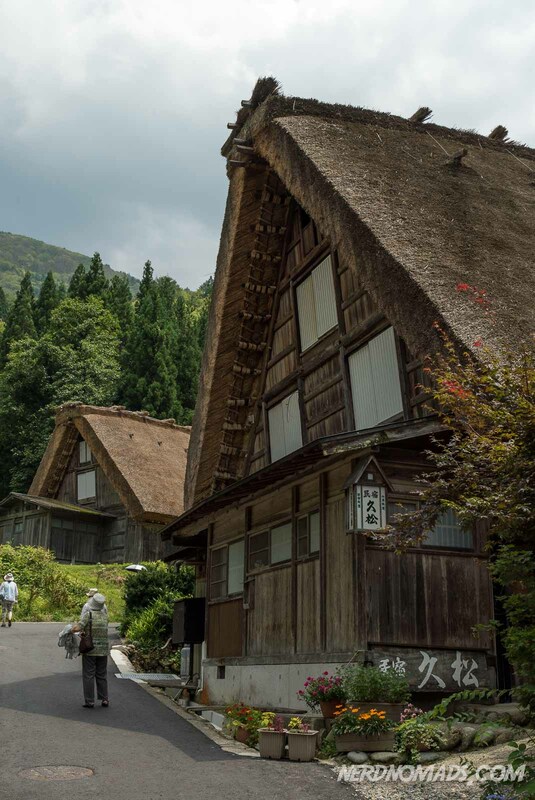 The art of the gassho-zukuri construction is sadly dying out, and most of the remaining houses of this architecture style has been moved to folk villages like the one we visited – Ogimachi in Shirakawa-go. 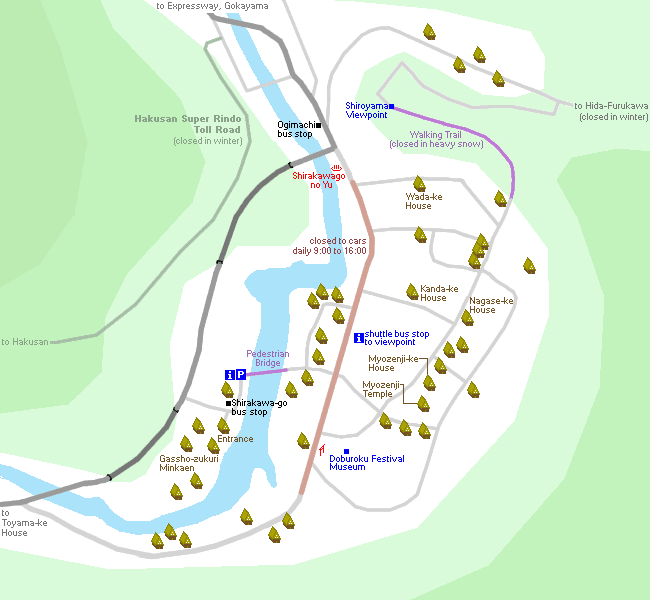 Only about 600 people live in this village today. 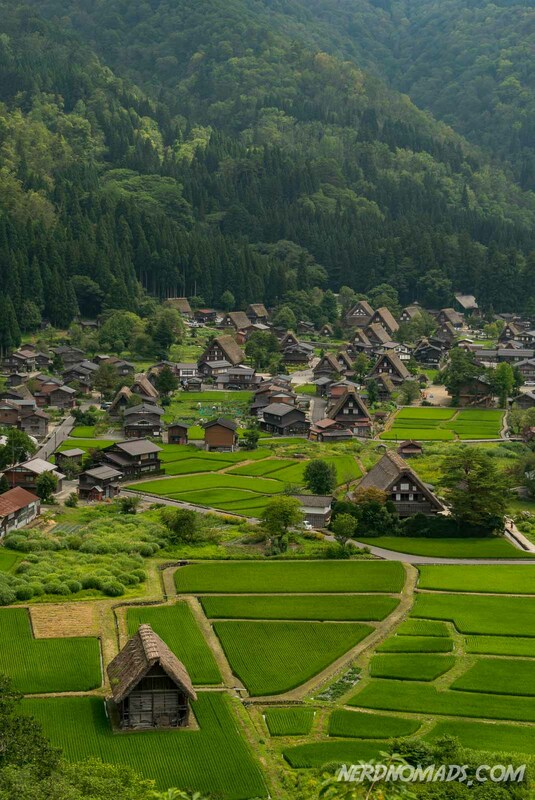 Ogimachi village in Shirakawa-go was declared a Unesco World Heritage Site in 1995. 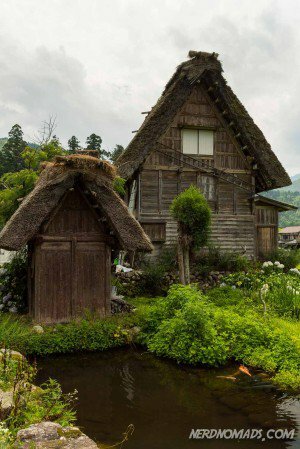 It has the largest concentration of gassho-zukuri buildings in Japan, with over 110 fine houses, some of which are over 250 years old. This village is also the most accessible, as it is easy to get to by bus from Takayama and Kanazawa. Many of the old farmhouses are now shops, museums, and restaurants, and in some, you can stay the night. 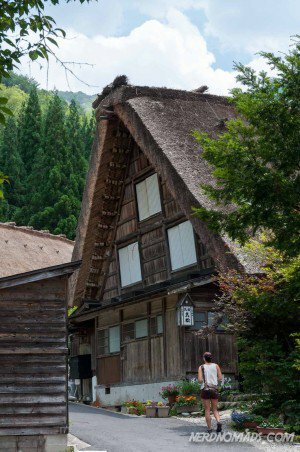 The Shirakawa-go and Ogimachi village are pretty compact with short distances, and the houses are clustered closely together. 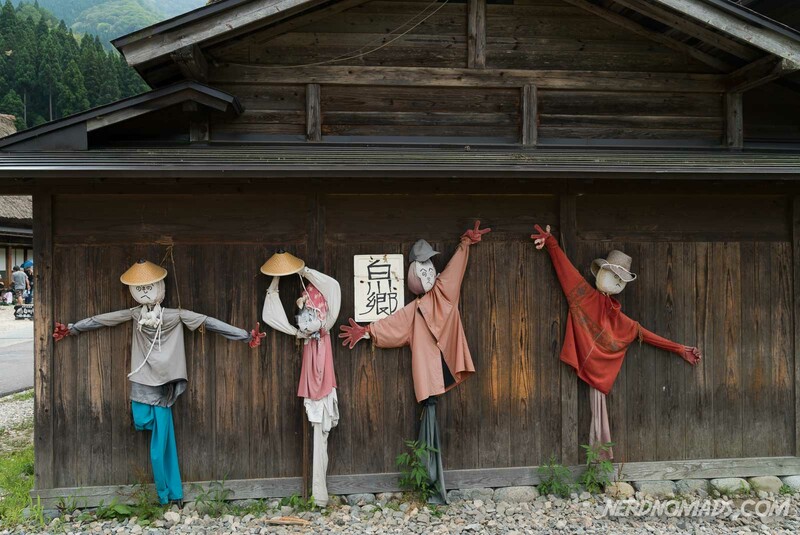 From the bus stop of Shirakawa-go, there is just a short walk over the bridge to the Ogimachi gassho style village. The bridge crosses the peaceful and calm river Shokawa. From the bridge, you have a lovely view of the mountains. 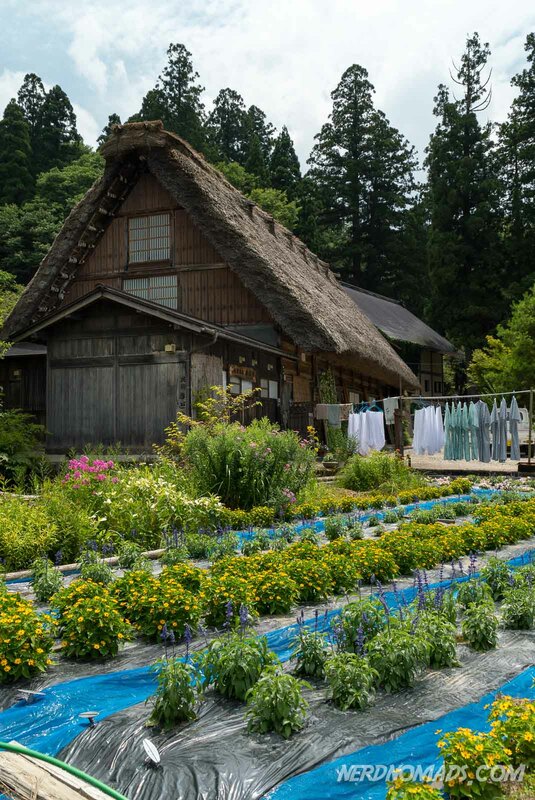 The Ogimachi village is rustic and lovely at the same time, full of bright colors and well-maintained gardens. 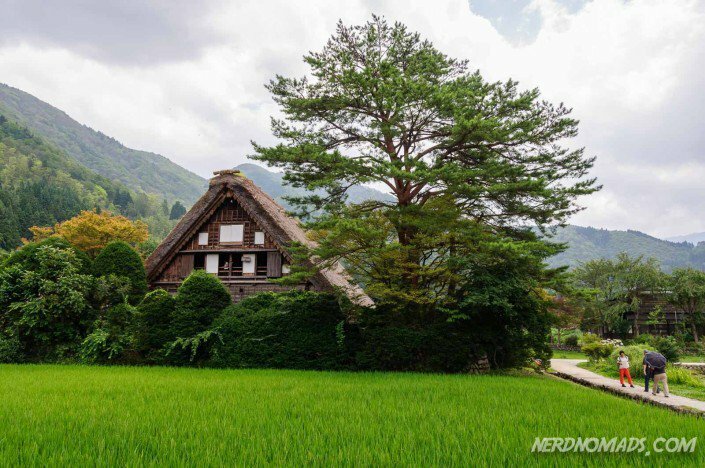 Even though many of the Gossho-zukuri houses have been converted into museums, they still present a view of the old rural farm life of Japan found few other places. 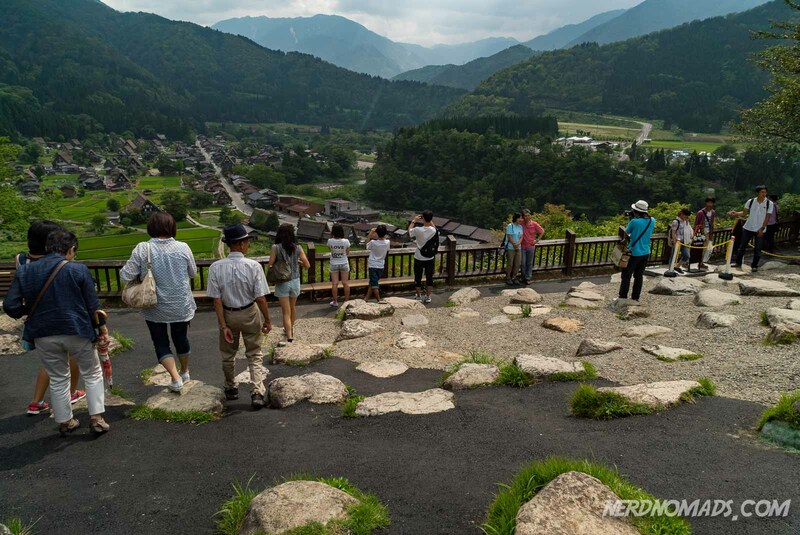 Where the castle Shiroyama Tenbodai used to be, there is now a nice viewpoint with a great overview of the valley and the Ogimachi village. We walked there, it is only a 15 minutes walk, but there is also a shuttle bus (200 Yen = 1,6 us$ one way) from the Shirakawa-go bus stop. 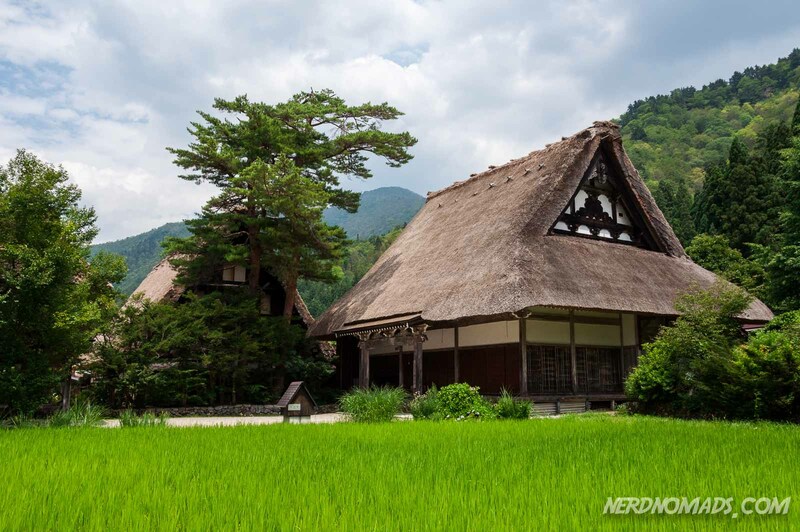 The Wada House is the largest gassho-zukuri building in Ogimachi village and Shirakawa-go. It used to belong to one of the wealthiest silk-trading families and village leader and dates back to the Edo period (1603-1868). It is now a museum and has been declared a National Treasure of Japan. 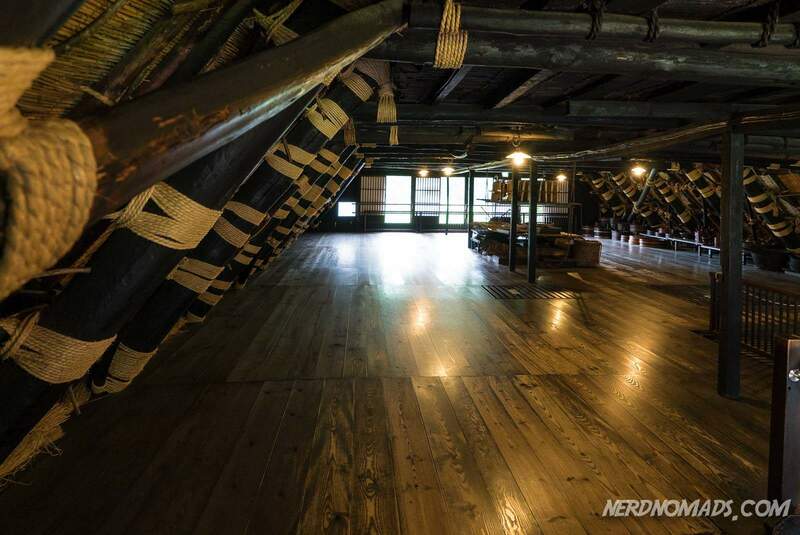 Upstairs is a display of equipment used for silk harvesting. 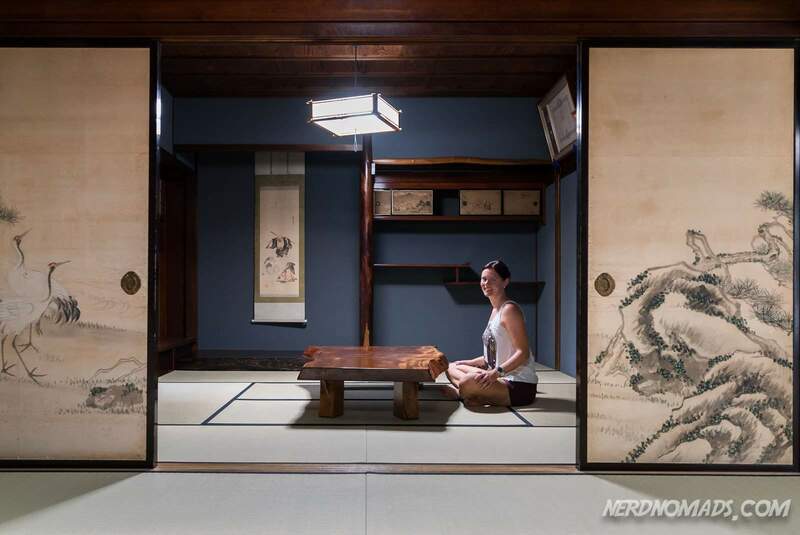 The Kanda House is one of the best preserved gassho-zukuri style farmhouses in Ogimachi. It is now a museum located in the heart of the village. From the upper floor, you have a great view of the village. This house is the former house of the Nagase family which were doctors to the ruling Maeda clan. Upstairs you can get a close-up of how the roof of a gassho-zukuri house is constructed. The Myozenji Temple is close to the Myozenji-ke farmhouse of where the priest of the temple lives. The temple is unique as it has a thatched roof rather than the more common tiled roof seen on most temples. 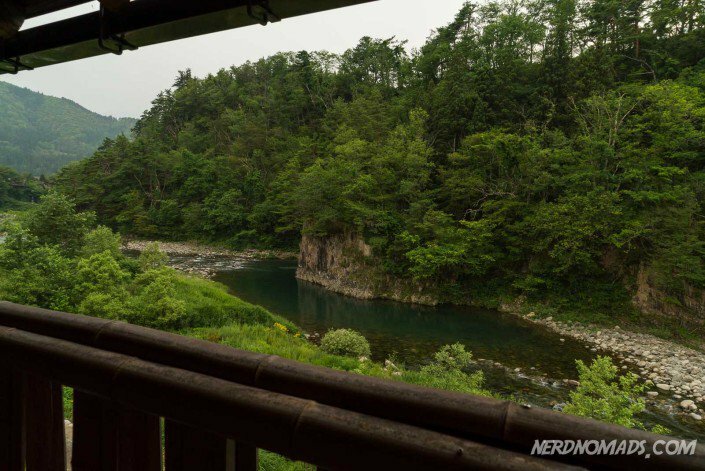 Located next to the Shokawa river is the natural hot spring Shirakawa-go No Yu. Ending our day of walking around Shirakawa-go soaking down in the hot water was just perfect! They have both an outside bath and an inside bath (separate women and men). They also have rooms for rent, but we did not stay the night. Do you wonder how to behave in a Japanese hot spring or Onsen? 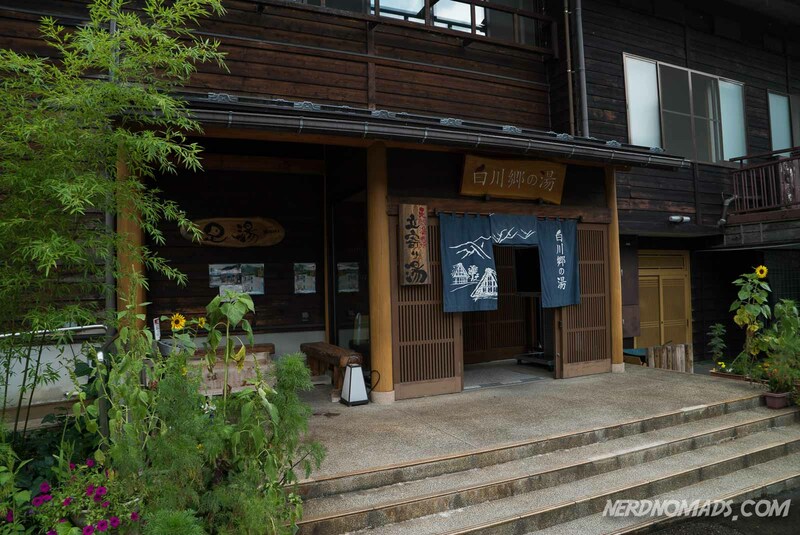 We have the answer, read this easy 10 step guide to Onsen. 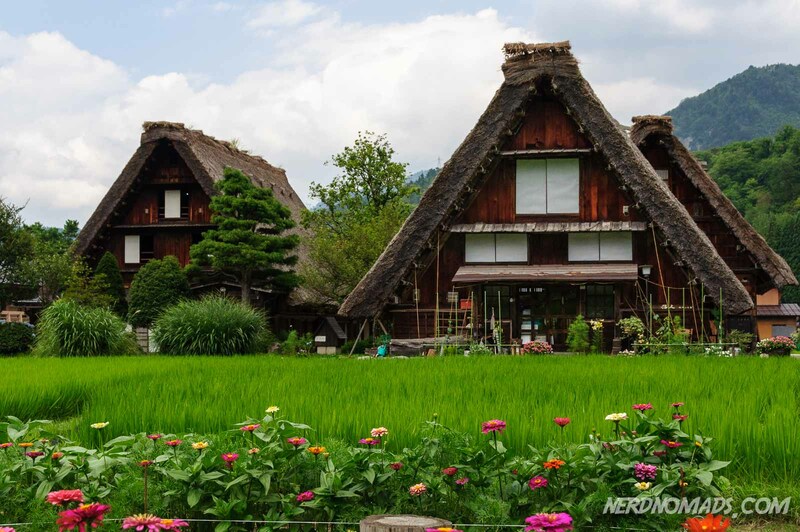 We simply love Shirakawa-go and it`s peaceful and historic Ogimachi gassho style village. 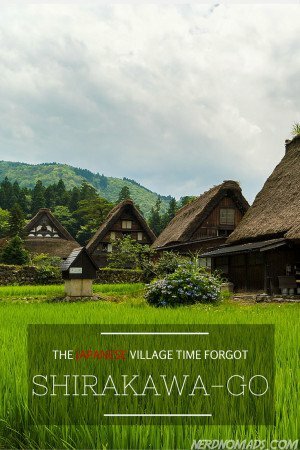 If you are heading to Takayama or Kanazawa, a day-trip to Shirakawa-go is absolutely worth it! 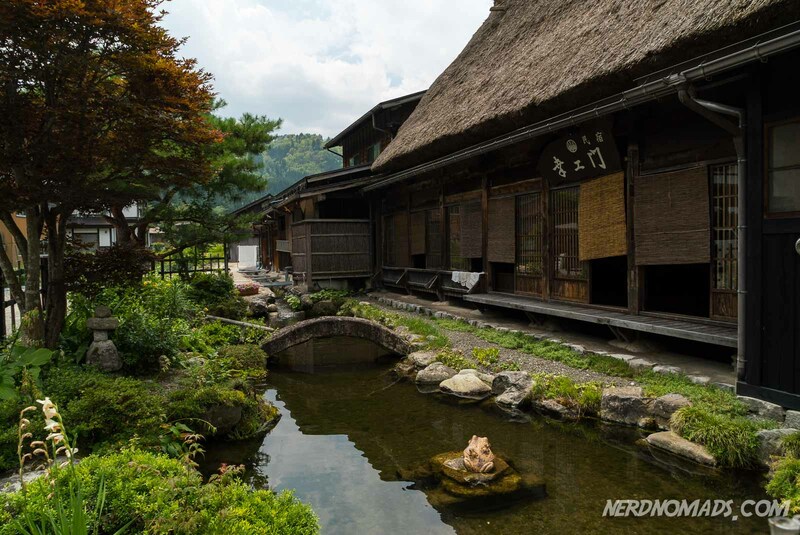 These rustic and lovely houses hold a special place in the Japanese hearts. Now they have a special place in our hearts too. ♥ Can`t wait to go back at winter time when they are all covered in snow. Wow, these Trulli houses look stunning! 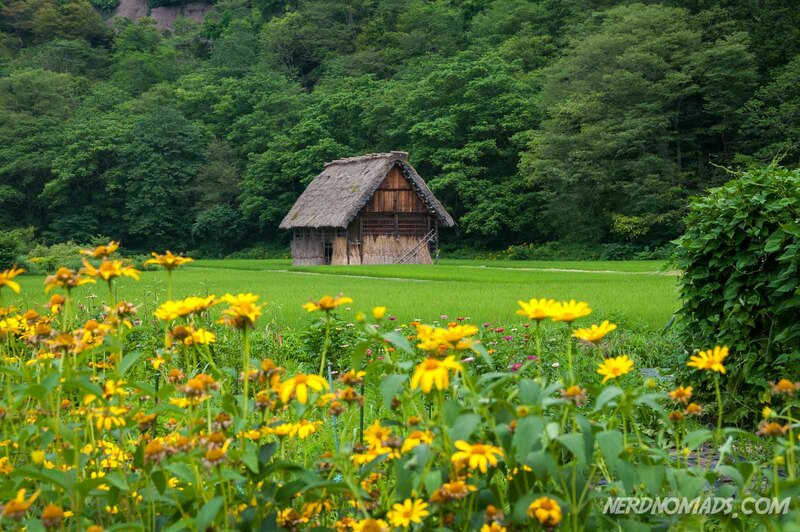 They look a bit like hobbit houses. 🙂 Have never heard of them, but will definitely put them on our bucket list. Thanks for the tip! This is such a wonderful collection of photos about a truly unknown place to me. I never thought such beauty still existed in Japan but wow, you certainly found it. I especially love your shot of the view from the Wada house there. Simply awesome stuff and unless I overlooked it, how did you find this place? It’s just spectacular! Seriously, thank you for sharing. 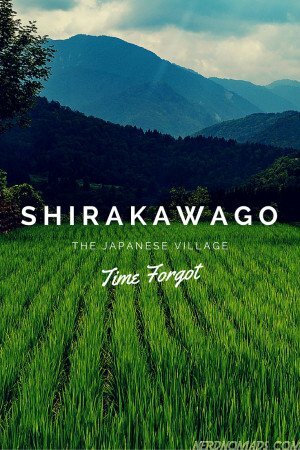 Shirakawago is such a beautiful place, and very photogenic. We loved walking around the narrow streets going from one beautiful farmhouse to another. In this inland mountain area of Japan, Shirakawago is pretty famous and a popular tourist attraction. 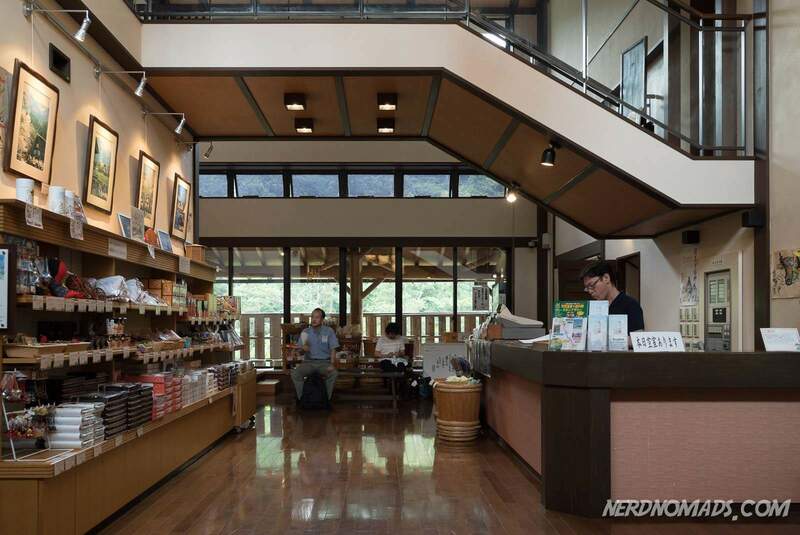 You should definitely visit this place if you are heading to Japan. Now that’s real exotic travel! I’m glad I have found this article, because I’ve been to Japan 2 times and it seemed that almost wherever I go there is a modern city which mainly looks the same everywhere. Now I have an incentive to travel to Japan one more time, thanks! I`m so glad you found our article too, and that we could inspire you to wanting to go back to Japan one more time! 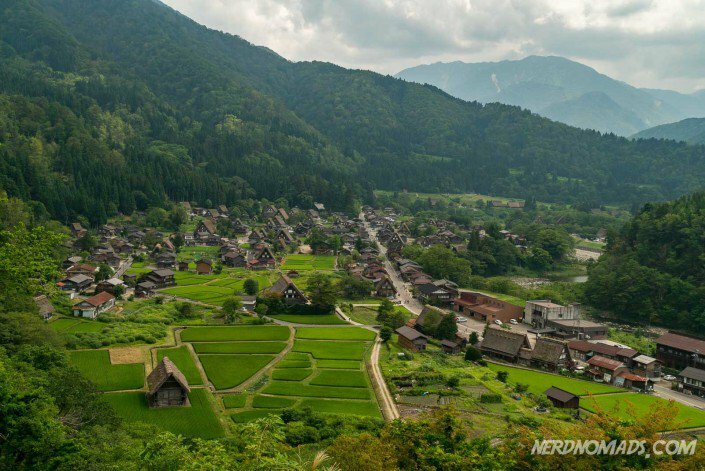 🙂 This mountain village Shirakawa-go makes you feel like you are back in the old traditional Japan, back in the days when samurais walked the streets. 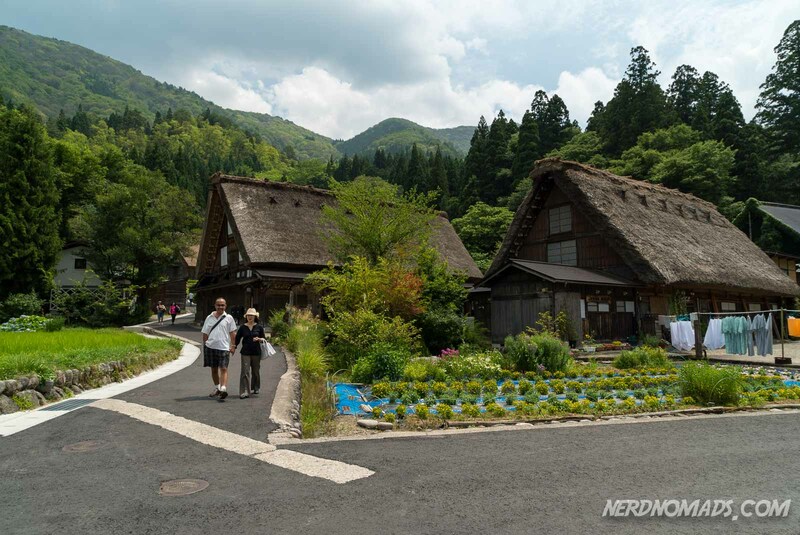 We really enjoyed visiting this village and walking around the beautiful wooden houses. Hope you visit Shirakawa-go on your next visit to Japan! Wonderful pictures !!. I visited this place in April, 16. Zukuri huts are amazing to see and whole village is very charming. When I visited I could see Mt Fuji clearly. It was a great day. Beautiful pictures!! Which time of the year did you visit Shirakawa-go? 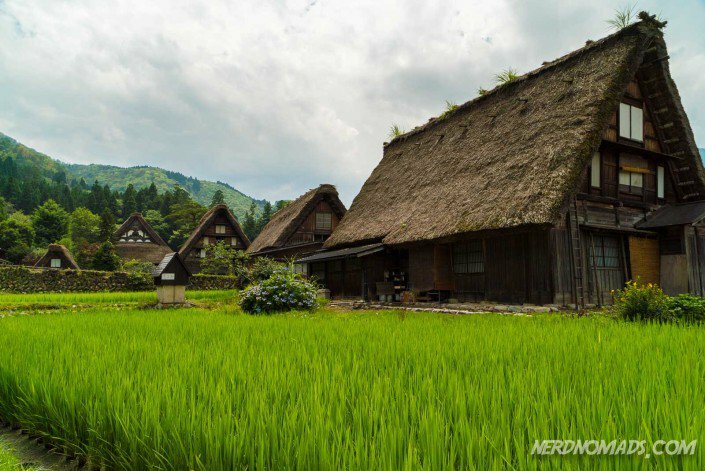 We visited Shirakawa-go in July. It was very green and lush. Loved the little mountain village. Your itinerary looks amazing and I’m using it to plan my own trip. I wondered, is there anywhere you can leave luggage/medium suitcase here? Your itinerary showed you dropped by here on your way from Kanazawa city to takayama so I assume there is? Thank you so much! Happy to hear that our Japan itinerary could be of help when planning your Japan trip! Yes, there is a room full of lockers (big and small ones that you can rent for cheap prices) in the building where the tourist information is located. This building is just next to the bus drop-off. So luggage storage will not be a problem in Shirakawa-go. The lockers are pretty big, but if your suitcase does not fit in the locker, just ask the staff at the tourist information center to store your suitcase. They are very used to this, and we saw several suitcases stored inside the tourist information center. Have a great trip to Japan! 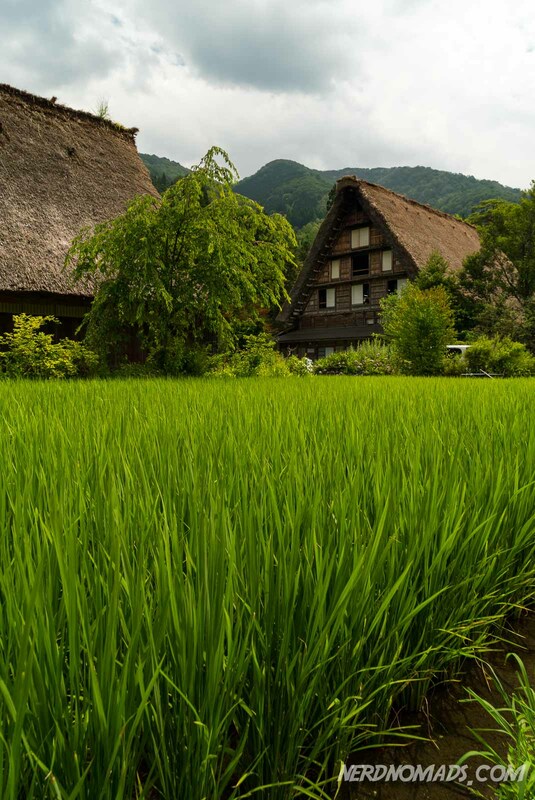 We will be in Takayama in October and would love to spend a night in one of the gasshozukuri houses in Shirakawa-go. Do you have a link to make a reservation? Thanks! 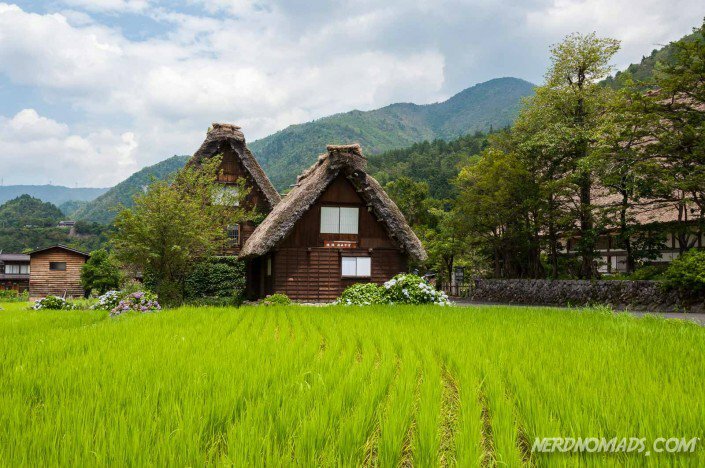 You can book your stay at a gasshozukuri house in Shirakawa-go HERE. 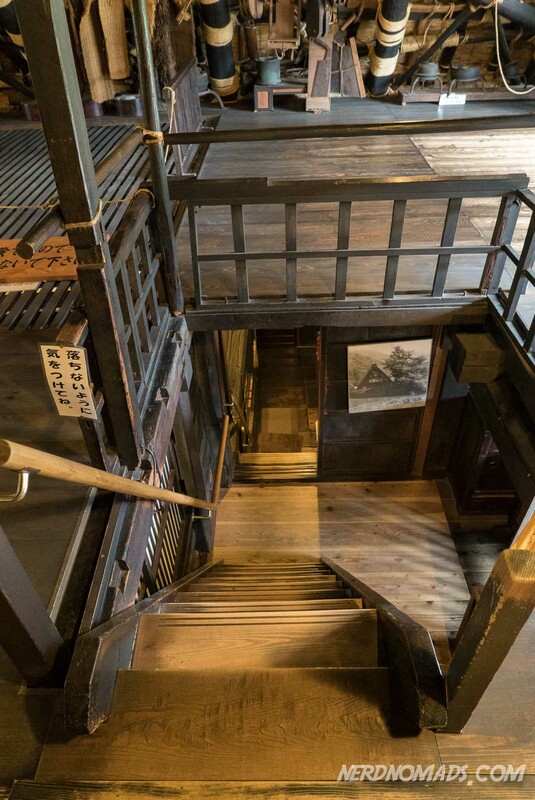 The Magoemon, a 300-year-old gassho inn, is very popular and looks really nice. Rates for a night at a gassho Inn include two meals (dinner and breakfast). Have a great stay at a gassho Inn! 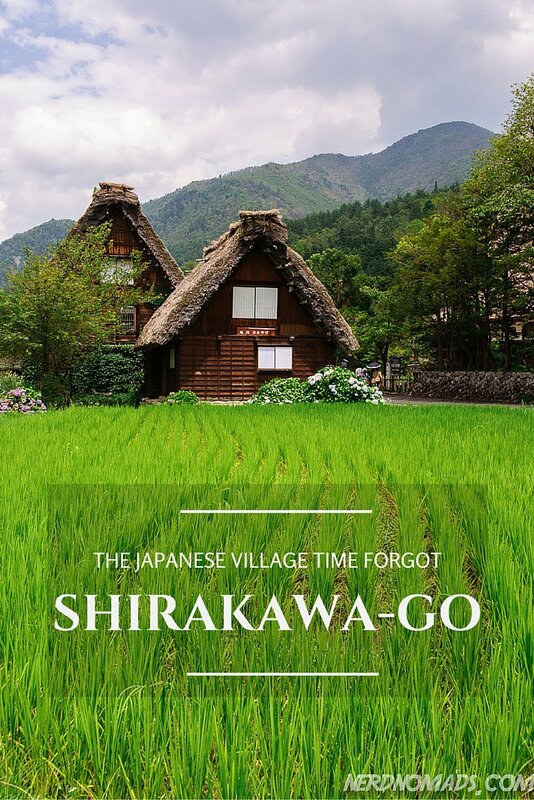 Hello, not sure if you are still responding to comments, but do you recommend an 8 hour day at Shirakawa-go? 4 hours? We are on a tight schedule but want to make sure it is still enjoyable. Your blog on Japan has been fabulously helpful! Yes, we are replying to all comments on our blog. 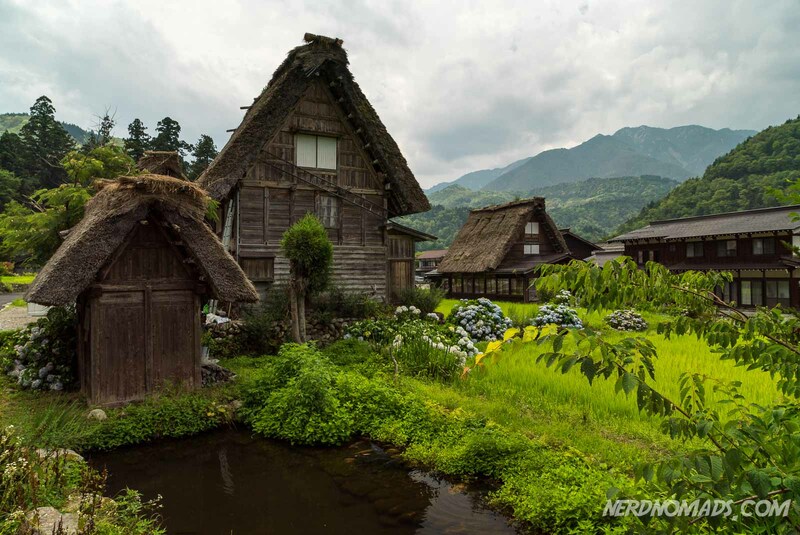 I think a 3-4 hour day in Shirakawa-go is enough as it is a compact little village. We spent about 4-5 hours there but we since we planned to write a blog post about the place we did a lot of research while being there, visited all the houses and walked around taking tons of photos. We also had lunch there, some delicious ramen. We will be doing a round-trip from Takayama to Shirakawa-go via Nohi Bus in April 2018. We will arrive about 1pm, spend the night at Kanja minshuku (near the Myozenji Temple), then return to Takayama the next morning. We would like to try local food as well as visit the Heritage Museum, Wada House, Kanda House, Silk Culture Museum and observation deck. We will have an overnight bag and must check in to Kanja by 5pm. Can you suggest an itinerary? Thx! 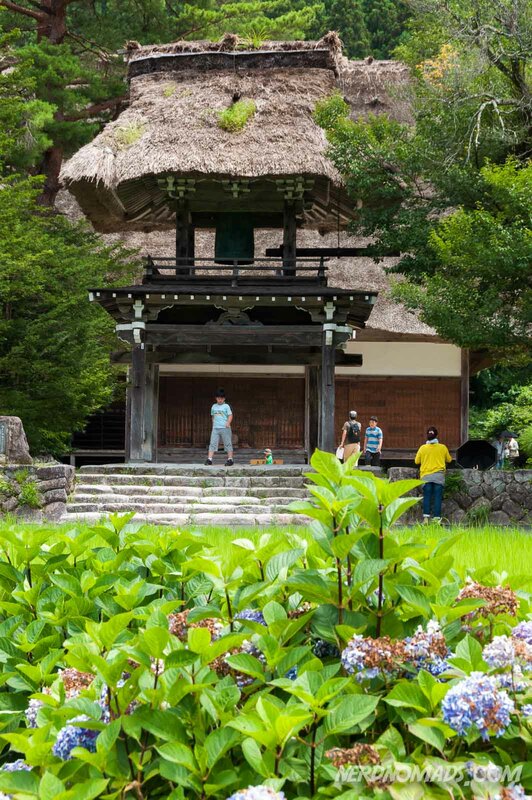 Lucky you who are going to Takayama this April! It will be amazing, just in time for spring and cherry blossom. 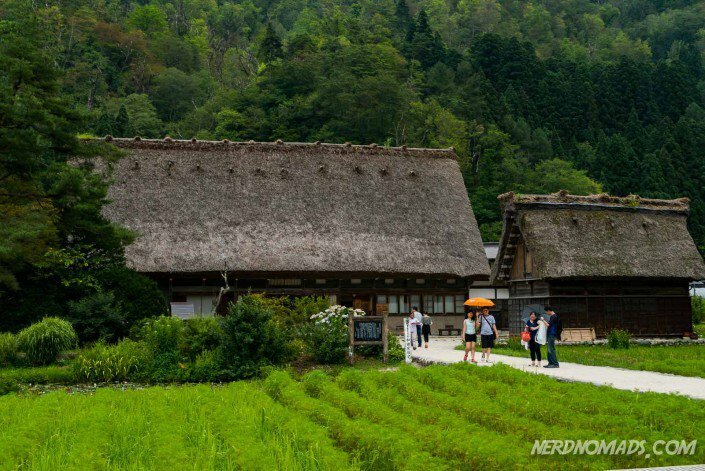 Shirakawa-go is a small and compact little village so you will have no problem fitting these museums/houses into your four hour schedule from 1 pm till 5 pm. Most of the houses and museums closes at 5 pm. You can either do the viewpoint first and then go and see the museums or houses, or the other way around, it really doesn’t matter. 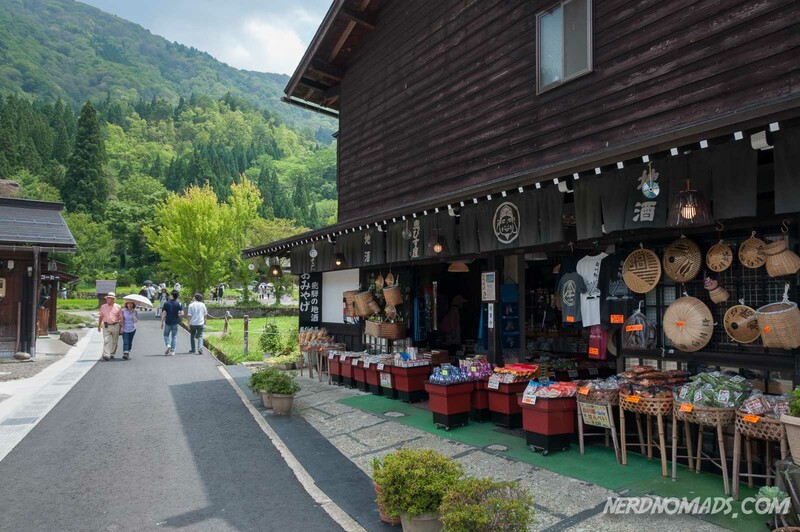 You can store your bag at the Shirakawa-go bus station, or check in (leave the bag) at your hotel when you arrive in Shirakawa-go before heading out to see the village. 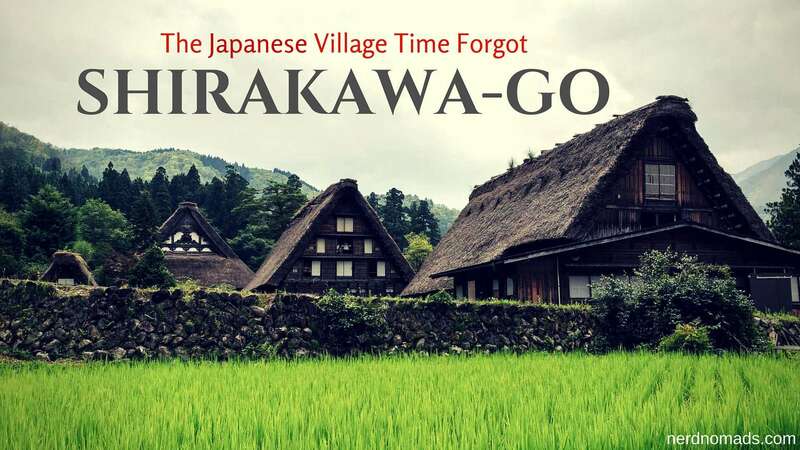 Enjoy your time in Takayama and Shirakawa-go!! It is such a charming little village! Out of the hundreds of blogs/websites/itineraries that I have found so far on Japan, yours is by far the most interesting, concise and packed with an enormous amount of actual useful information! A large part for our upcoming trip to Japan in October has been taken from your blog and the Alpine Route was especially good. Many thanks for all the hard work & research you have made available to all. Awwww, thank you sooooo much for your nice comment and words about our blog!!! You made my day!! 🙂 The Alpine Route was one of the highlights for us, so I`m really happy to hear that you will do this mountain trip too. Have a wonderful time in Japan in October!! Hi Maria, I’ve been planning a Japan trip for the last couple of years. 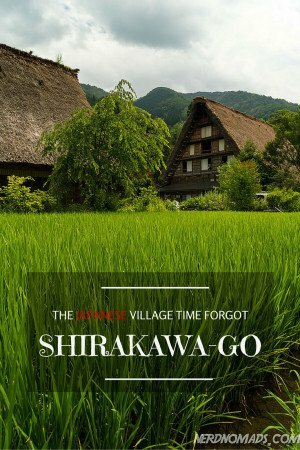 Shirakawa-go looks great but is a little way out of my planned route. Is it worth adding it anyway? 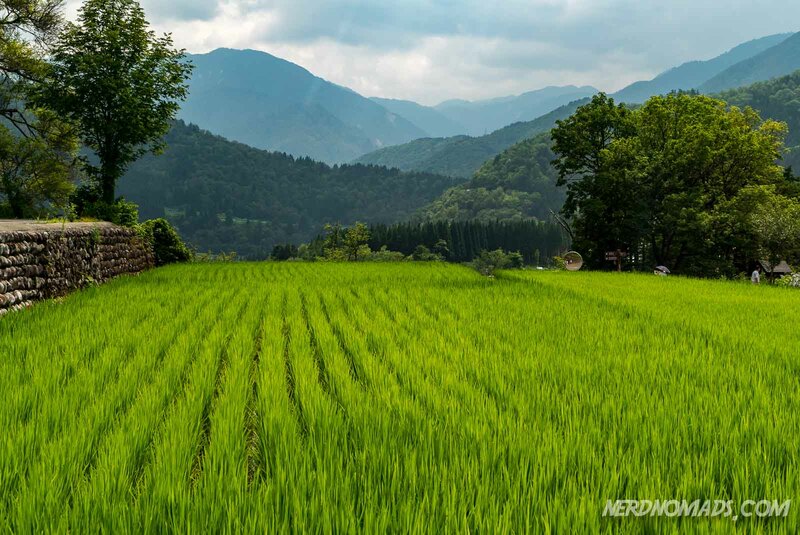 Shirakawa-go is beautiful, but if you don´t have time to see anything else in this area, like for instance do the Japanese Alpine Route, visit Kanazawa or Takayama city, then you should just skip it. It is no point going to this area only for a day to see Shirakawa-go. But if you have time to spend some days in this area, it is totally worth it as there is a lot to see and do here and nature is stunning. What is this about: Us visiting the mountain village Shirakawa-go and it`s folk village Ogimachi, famous for it`s unique buildings. How to get there: We took the bus from Takayama city. Nouhi Bus Company has many buses daily from Takayama to Shirakawa-go. The bus ride takes about 50 minutes. One way ticket is 2470 Yen = 21 us$, and return is 4420 Yen = 37 us$. Cost: To walk around Ogimachi and view the houses from the outside is free. Also, the viewpoint is free. To enter the houses varies from house to house. They cost between 300-500 Yen (2-4 us$) for each house. What to bring: Cash. There are no ATMs here, and credit cards are not accepted. 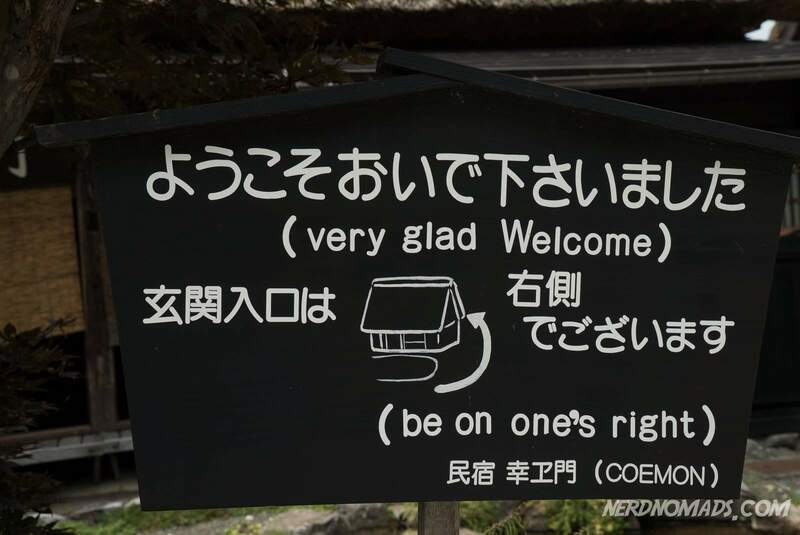 Be sure to pick up a free English-language map at the Tourist Information Office next to the bus stop before walking over the bridge to Ogimachi Folk Village.